The Organic Tippler: Food and Wine Pairing: Shiraz. So, today's wine for food pairing is SHIRAZ! I've chosen to start with the 'King of Reds'. Shiraz (or Syrah) is pretty much the most popular red wine there is on the Australian market (and Australia is the biggest producer of Shiraz in the world). And yes, it is pretty darn delicious. 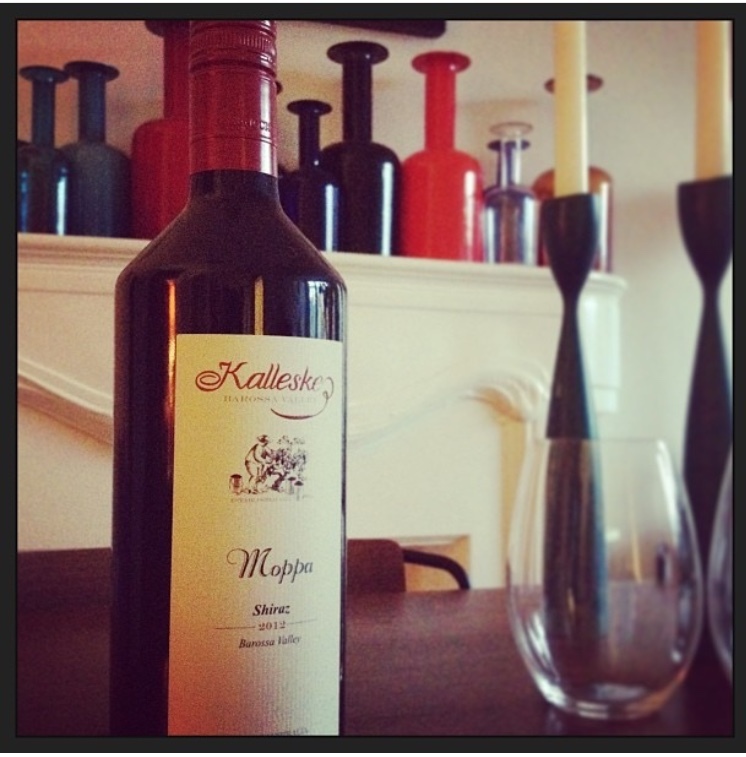 If you're a straight up Shiraz drinker, please don't neglect the other red wine varietals. Pinot, Merlot and poor old Cabernet Sauvignon get so overlooked, especially with a spike in popularity of European varietals like Tempranillo and Sangiovese. But never fear, we will get to all of them in due course. For now we'll start at the very beginning. So, Shiraz can come in many guises. It's a versatile grape and depending on where it was grown, cool or warm climate, and how it is made into wine, there is a huge range in flavours and characters that can be produced. 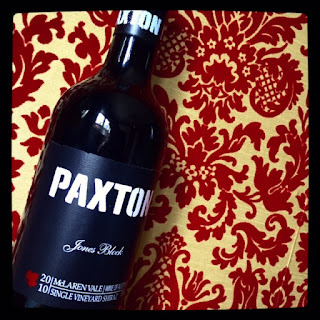 This versatility really helps when looking at food pairing, because essentially you can probably find a Shiraz which will tick any box you need it to; lighter bodied and savoury, or sticky dark fruit flavours with intense tannins. 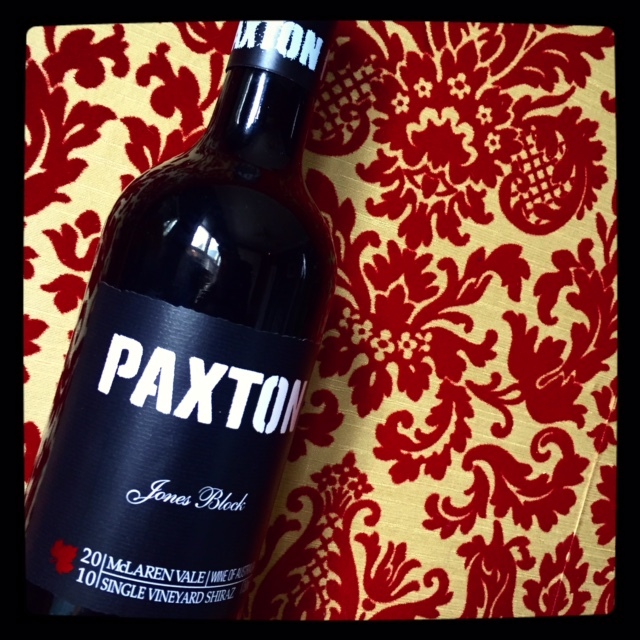 In general Shiraz is quite a full bodied fruity drop. 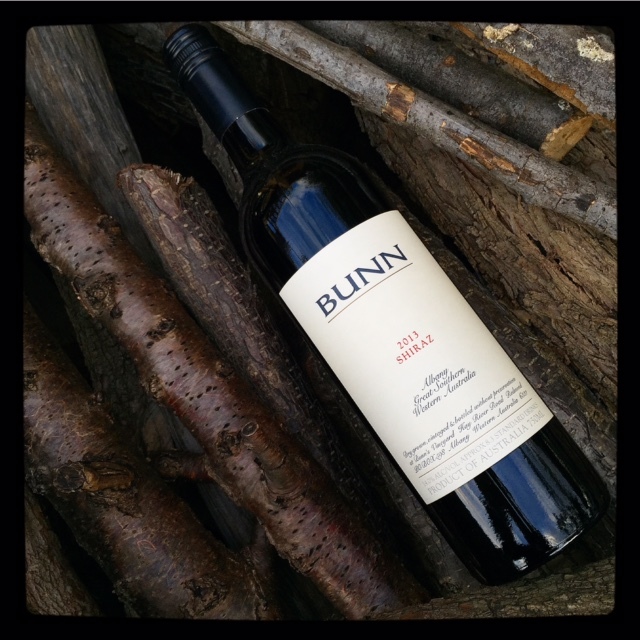 There are notes of charred summer fruits, pepper, liquorice, berries, currants and even chocolate. It is distinctive and delicious. Shiraz pairs well with beef. However duck and pork with heavily flavoured savoury sauces also work well (mmmm, Peking Duck!). Shiraz doesn't really work quite so well with cheeses. It you really only drink Shiraz (perhaps it's time to expand your horizons a bit! ), and want to eat cheese at the same time, try a creamy cheese like Camembert or Brie. Even a smoked softer cheddar would work well. I'm a big fan of Shiraz, and we've got loads of it in our organic and preservative free range. 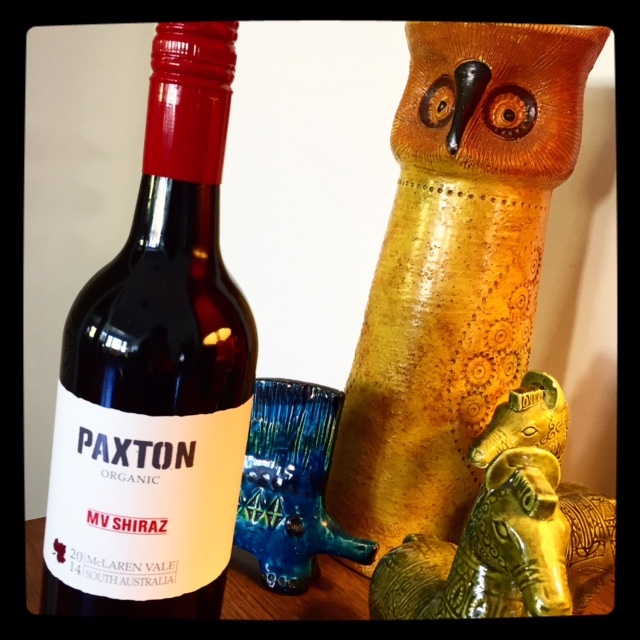 I find it hard to go past the Paxton MV Shiraz for price and excellence, James Halliday gave it 95 points recently, and for a wine at the $20 price point this is nothing short of outstanding, we've also got the amazingly special Paxton Jones Block... so worth a little splurge. 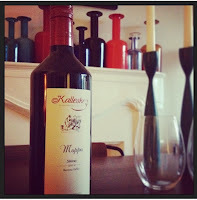 It's no secret that I'm also a fan of the Kalleske Moppa, it's BIG, and impressive, the hearty flavours leave you in no doubt that this is indeed a Shiraz. Oh, and I couldn't neglect to mention the Bunn Shiraz, it's warming and spicy all wrapped up in rich velvety fruit flavours. Man, I am so having a bottle of Shiraz tonight. You can read up on our range on our website, and if you feel so inclined put in an order for a bottle or two. Now to what I've been eating while sipping shiraz... 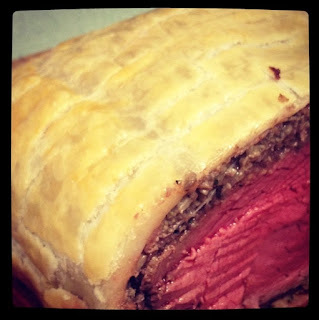 In my recent food adventures, I've been playing around with Beef Wellington. Seriously, if you haven't tried this dish, GET ONTO IT. It is nothing short of amazeballs. For the uninitiated it is a prime cut of fillet beef, wrapped in pates and prosciutto, surrounded with flaky pastry. Baked in the oven and served with a rich red wine sauce, wilted greens (or green beans) and creamy-buttery mashed potatoes, it is my 'death row last meal'. So, so good. (**Pauses from writing to wipe drool off chin). I've tried a few different recipes for BW, but one that I really liked, and was pretty simple, is by potty mouthed chef Gordon Ramsay. I'll include it here, with my own adaptations, plus a recipe for a velvety sauce to go with it. To keep the pastry light and crisp, I wrap the beef and mushrooms in a layer of prosciutto to keep the pastry free from moisture (sort of, there is always some seepage). Some people even use thin crepes, but I can't resist the salty parma ham! Put the mushrooms into a food processor with some seasoning and pulse to a rough paste. Scrape the paste into a pan and cook over a high heat for about 10 mins, tossing frequently, to cook out the moisture from the mushrooms. Cook for longer if you need to. Spread out on a plate to cool. Heat in a frying pan and add a little olive oil. Season the beef and sear in the hot pan for 30 secs only on each side. (You don't want to cook it at this stage, just colour it.) Remove the beef from the pan and leave to cool, then brush all over with the mustard - I like lots of mustard, and have found that the cooking process seems to mellow the 'hot' flavour, so don't be frightened to go hard. Lay a sheet of cling film on a work surface and arrange the prosciutto slices on it, in slightly overlapping rows. With a palette knife, spread the mushroom paste over the ham, then place the seared beef fillet in the middle. Keeping a tight hold of the cling film from the edge, neatly roll the prosciutto and mushrooms around the beef to form a tight barrel shape. Twit the ends of the cling film to secure. Chill for 15-20 mins minimum to allow the beef to set and keep its shape. (You could even complete this part of the process the day before). Roll out the puff pastry (or use the shop bought sheets) on a floured surface to a large rectangle, the thickness of a $2 coin. Remove the cling film from the beef, then lay in the centre. Brush the surrounding pastry with egg yolk. Fold the ends over, the wrap the pastry around the beef, cutting off any excess. Turn over, so the seam is underneath, and place on a baking sheet. Brush over all the pastry with egg and chill for about 15 mins to let the pastry rest. Lightly score the pastry at 1cm intervals and glaze again with beaten egg yolk. Bake for 20 minutes , then lower the oven setting to 180ºC and cook for another 15 mins. Allow to rest for 10-15 mins before slicing and serving with the accompaniments. The beef should still be pink in the centre when you serve it. For my sauce I started with about 500 mls of BONE BROTH (this is just a super duper version of stock that has been slow cooked for 70 odd hours...sooooooo good!). I get this boiling away on the stove then add a good slug or two of red wine, SHIRAZ in this instance. I continue to cook until the sauce is reduced by about half and is quite thick, if it isn't thickening up well enough (or if you've just used regular stock), take out about 3 tablespoons of liquid and mix in 1 tablespoon of plain flour until you've formed a smooth paste, then return to the sauce. As a final thickener and to add that bit of glossy deliciousness add a good tablespoon of butter. Taste and then season with salt, pepper, and any other flavour profile you'd like (maybe a hint of chili, or a whack of hot English mustard?). Basically tinker about with the sauce until you get a consistency, and flavour, that you like. So, there you have it, what to eat when you've got a cracking Shiraz to drink. And if you haven't got one on hand, drop by our website and order some!